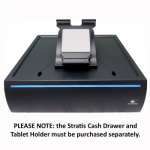 The Stratis™ Integration System can solve your mPOS problems. 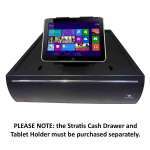 Designed to present the tablet to both the clerk and the customer with a smooth rail system, the Stratis tablet holder has a pleasing look and is feature rich. 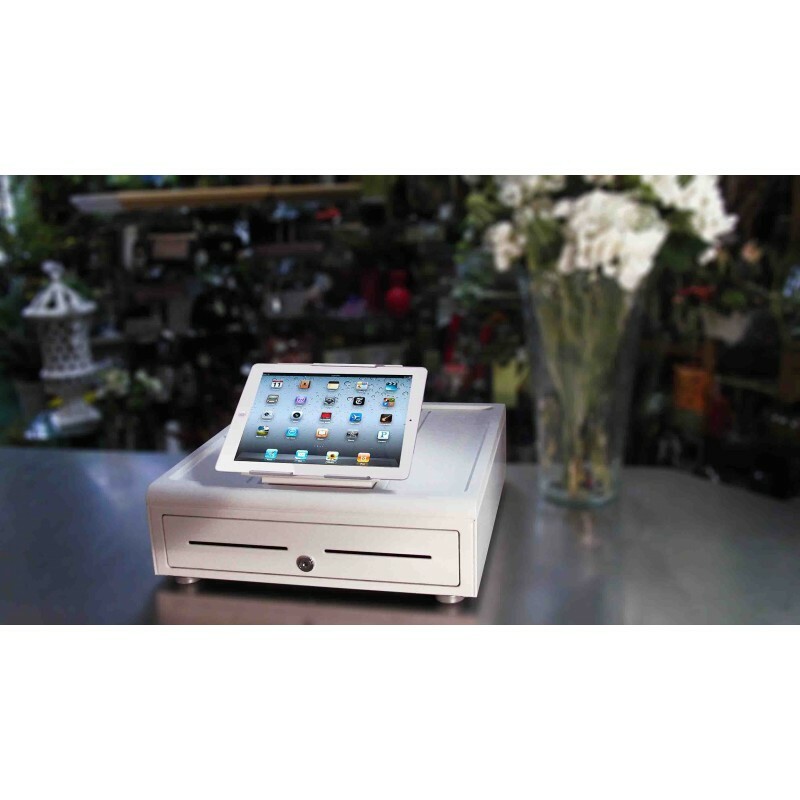 The adjustable clamping system allows for a variety of tablet sizes to be used. 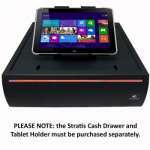 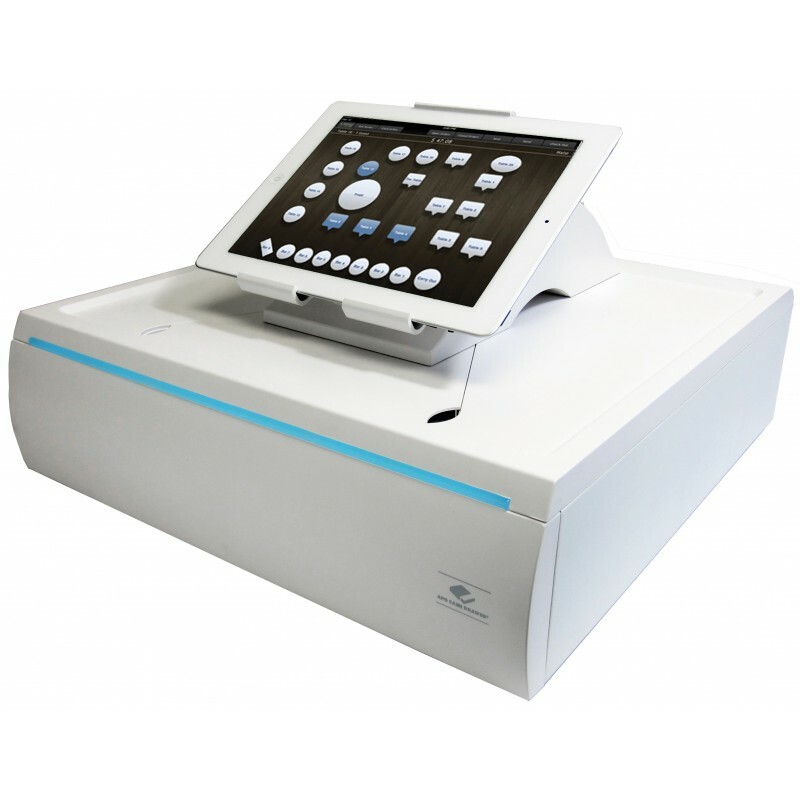 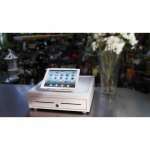 A hidden button releases the tablet converting it from a Thin POS station to a mobile solution in seconds. 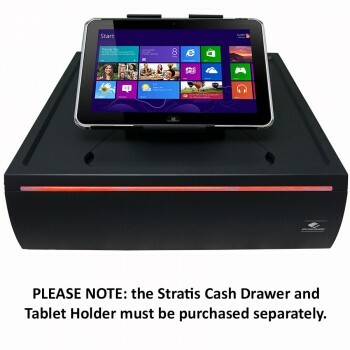 A magnetic base secures the tablet holder to the drawer for easy placement.